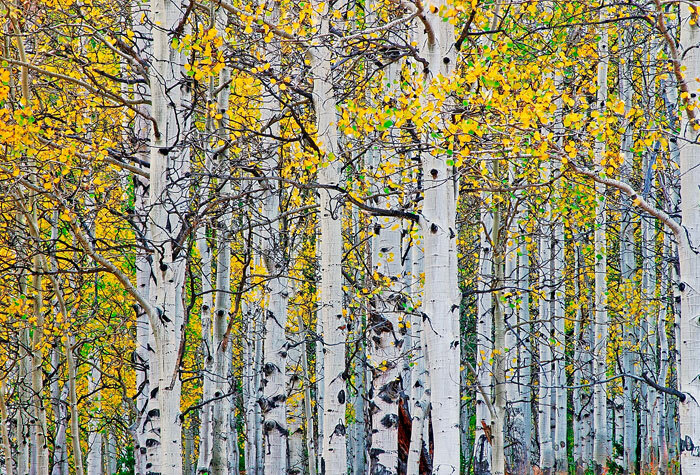 This photo was taken off the Scenic Byway between Yampa and Meeker Colorado. I was heading to Steamboat when I saw a Scenic Byway sign. As I exited onto the Byway, I thought I saw a sign that said 40 miles to Meeker, so I assumed I could make it in about 2 hours including photo stops. About 50 miles later, I saw another sign that said 40 miles to Meeker. I looked at my near empty gas gauge and panic set in. I was pretty sure that there would be no gas stations on this rural mountain road and that I would have to coast into Meeker on fumes. The only good news was that it appeared to be mostly down hill. It was getting dark and my anxiety was building when I spotted a Standard Station in the middle of nowhere. I bought a GPS unit the next week. Photo © copyright by Mike Barton.